Stomp, Holler, Sing, and Dance! 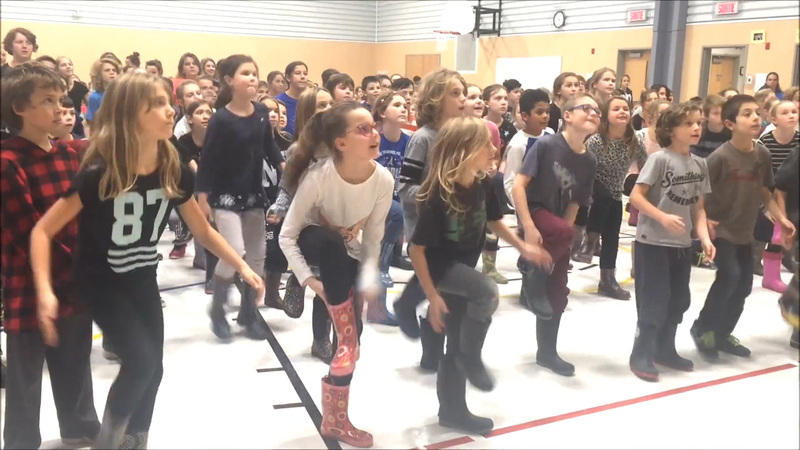 Stomp, Holler, Sing and Dance! 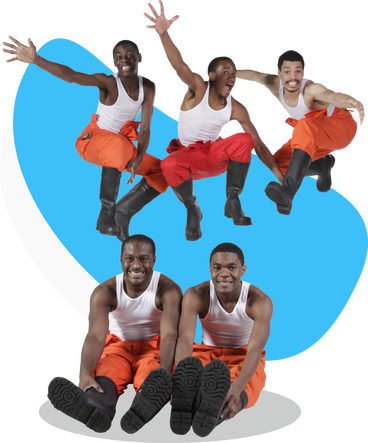 Gumboots is a traditional South African art that mixes percussion and dance. 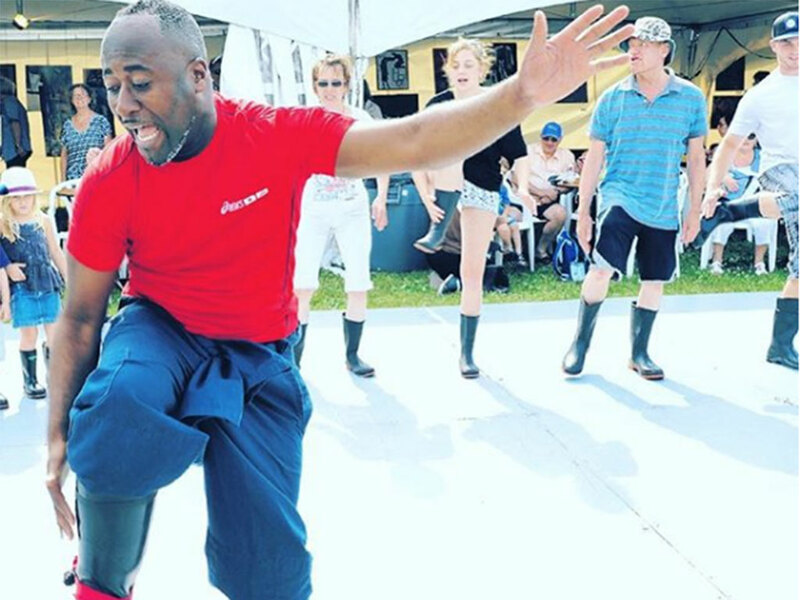 The performers use their rubber boots and their voices to create wild rhythms. The larger the group, the more epic the performance! 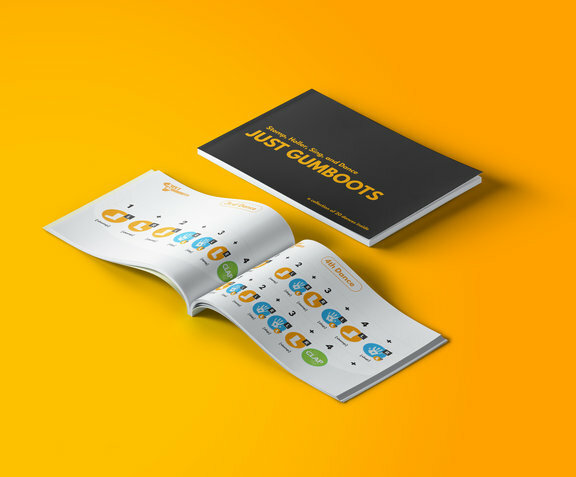 You have been asking for it and we are so excited to finally announce the Gumboots Dance Book. We have had so many teachers come up to us after our workshops to ask if we have a "copy" of the dances. Well, now we do. Combining dance, culture, music and language, Just and his dancers offer you a complete and engaging activity that everyone can remember for a long time! 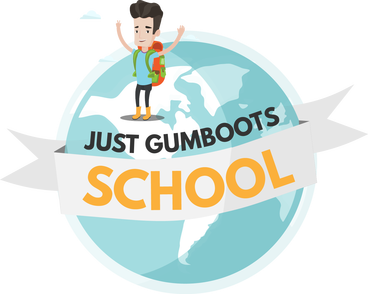 Gumboots combines the best of dance, percussion, and song. 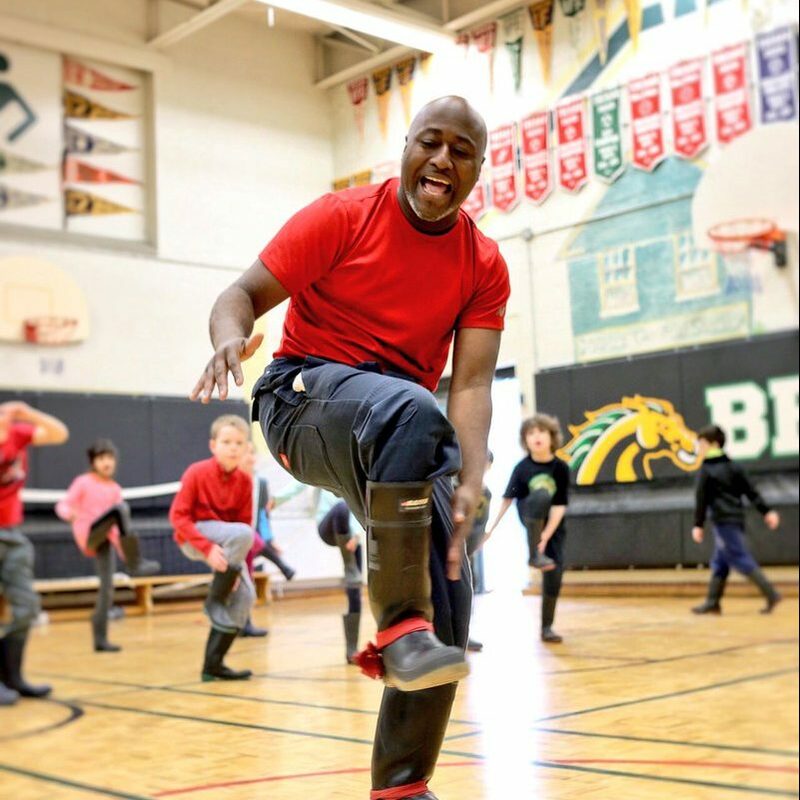 Each Gumboots instructor is trained professionally as an artist, communicator, and posses an ability to engage audiences of all ages and backgrounds.